Thank you for visiting my website! My mission is to help inspire you to live life on your terms at any age with grace, grit and a sense of humor. First step: Make your Self-Health a Priority. This is something I learned the hard way. Now I want to share my lessons with you. Please sign up for my fabulous tips and insights. I’d love to hear from you and work with you. Join me on the radio. Live Wednesdays. Podcast to iHeart.com. Listen here to recent episodes. 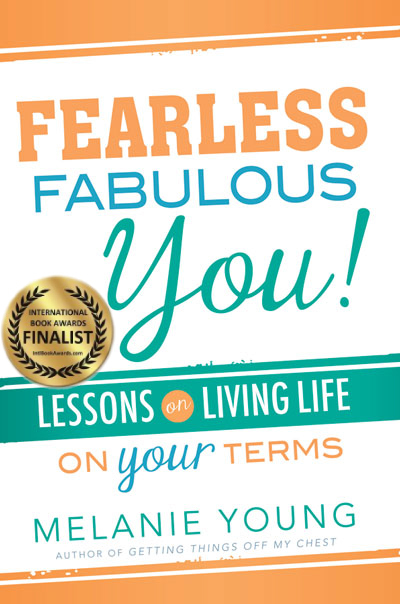 Stay fearless and fabulous at every age and stage or your life with inspirational insights to face challenges with grace and make the changes in life that are right for you. This book will teach you Melanie’s five steps to transform your thinking and embrace your destiny. 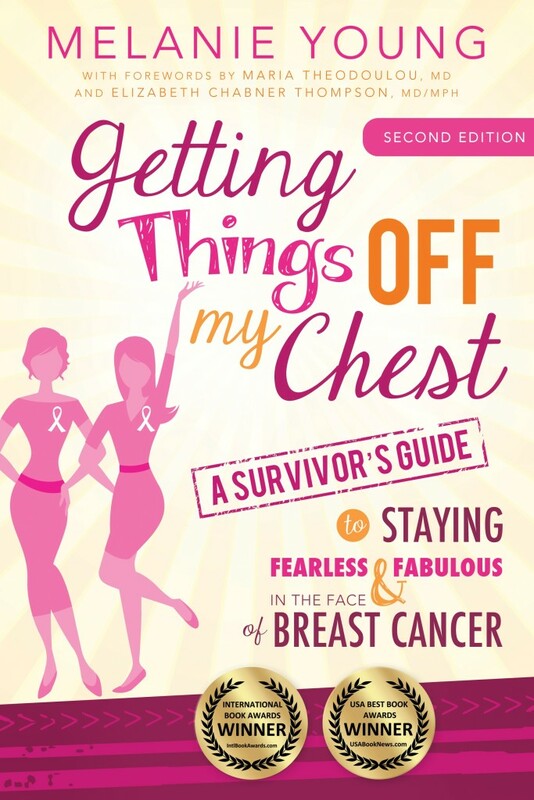 Melanie helps you navigate your breast cancer journey with this all-inclusive guide filled with helpful survivor’s tips and expert advice. Complete with checklists, this book helps you ask the right questions, make informed decisions, eliminate stress and boost your spirits. What is a health coach? A Health Coach is a wellness authority and supportive mentor who motivates individuals to cultivate positive health choices through lifestyle and behavior changes. I was inspired to enroll in Institute for Integrative Nutrition to train as a coach and learn more than 100 dietary theories. Learn more by clicking here and mention my name for special savings. Once you enroll I will offer you one free 50 minute class with expert PR tips to promote your business. Click this link for details. Honored to be included in the Top 100 Health Coach Blogs to follow. Click here to learn more. The Connected Table provides marketing, and event expertise, custom content and coaching to people and business in food, wine, hospitality and wellness. The Connected Table LIVE on iHeart Radio profiles dynamic people working front and center and behind the scenes in food, wine, spirits and hospitality. Learn more and sign up for a free consultation.